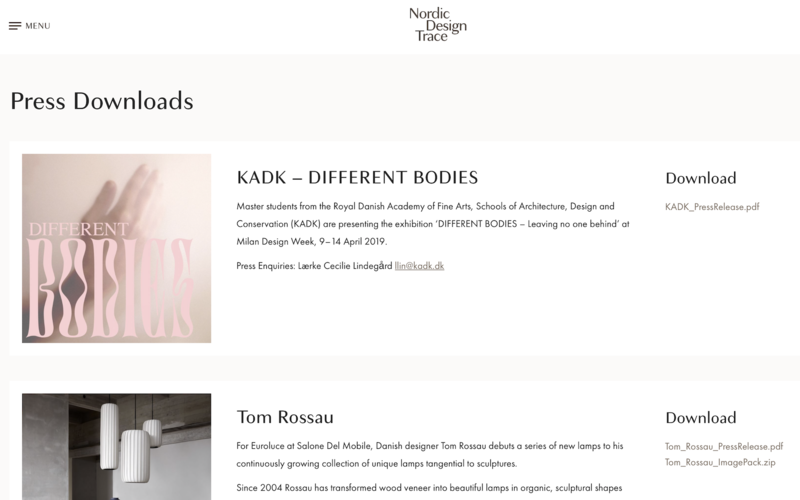 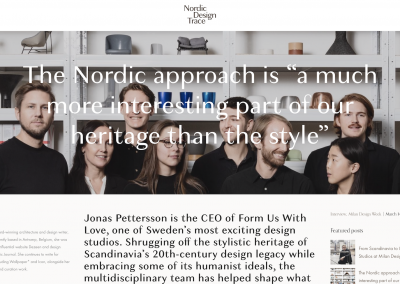 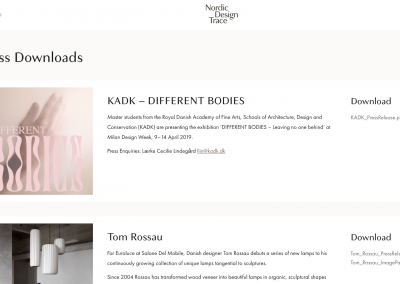 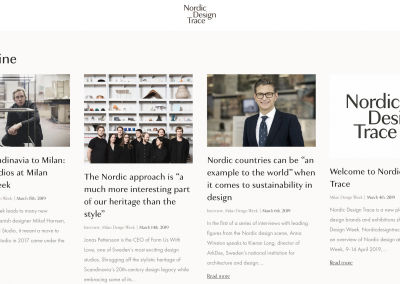 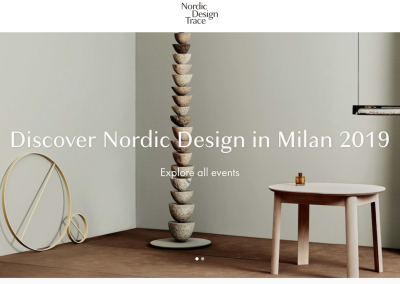 In 2019 Copenhagen Design Agency initiated Nordic Design Trace – a digital platform that connects Nordic design brands and exhibitions at selected international design events, festivals and fairs. 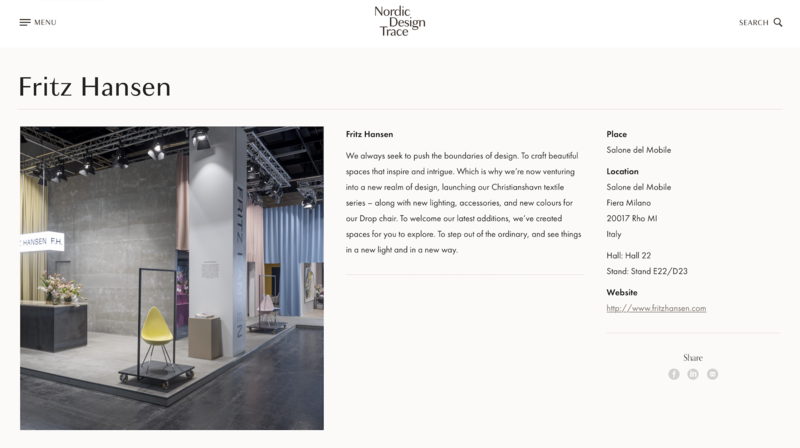 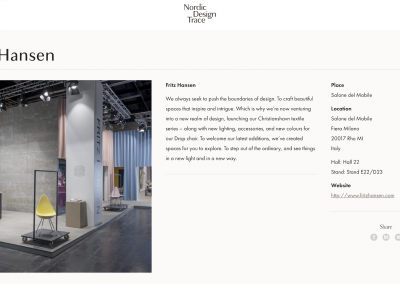 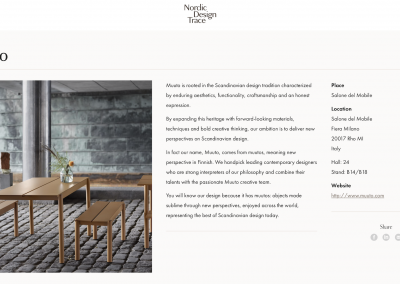 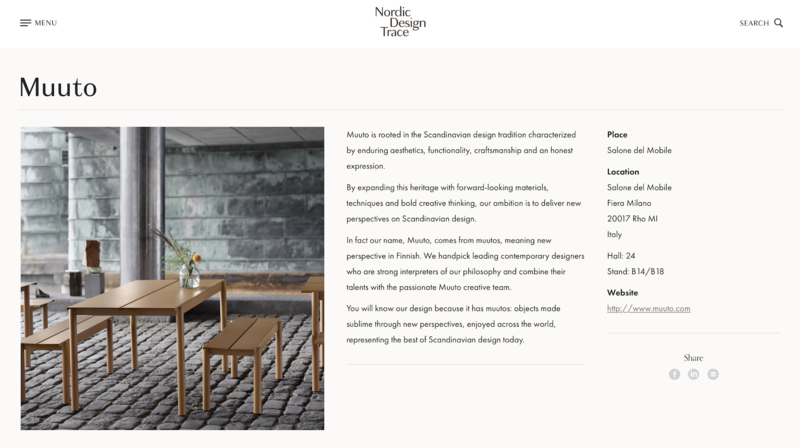 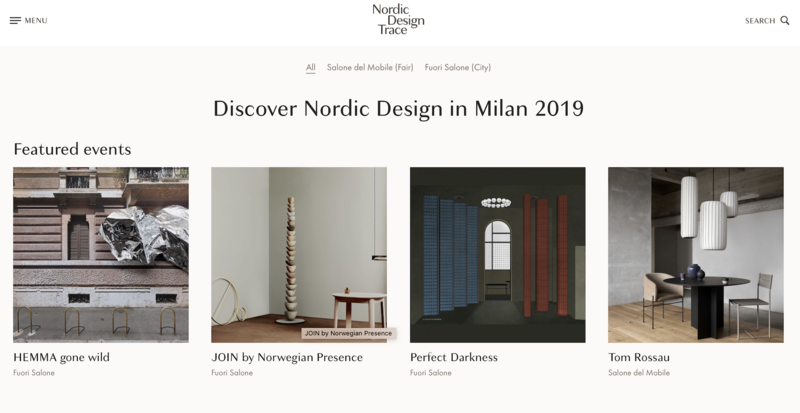 Nordic Design Trace is a new digital platform that connects Nordic design brands and exhibitions at selected international design events, festivals and fairs. 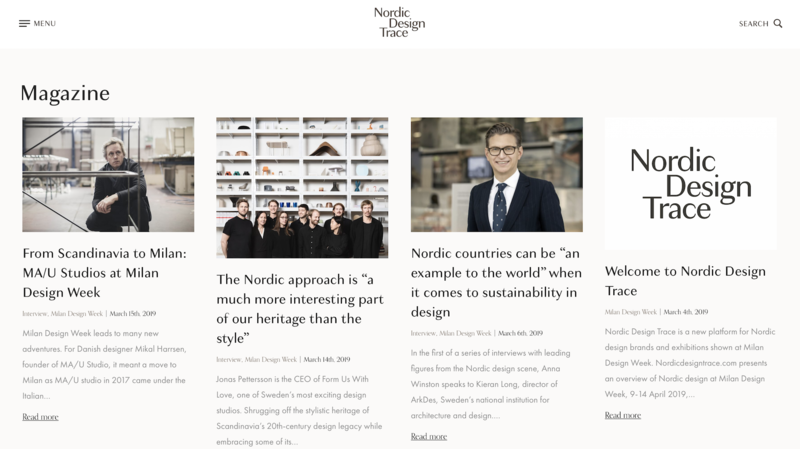 The platform promotes Nordic design brands, designers and design culture through articles, newsletters, press releases, online maps and social media. 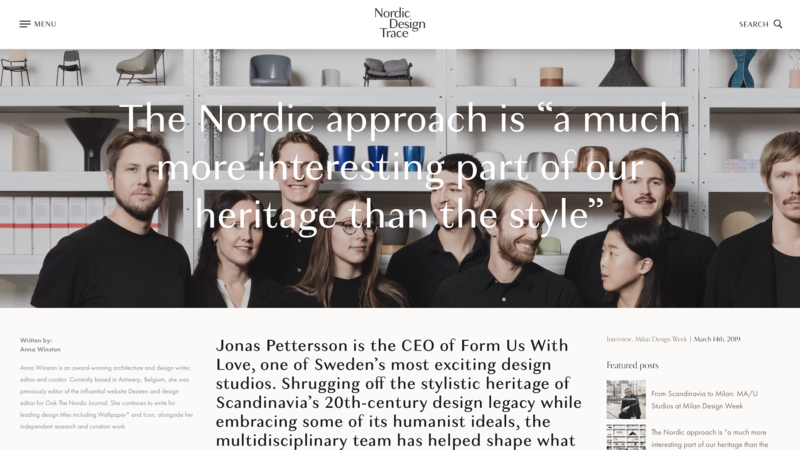 The communication is particularly targeted international design journalists and design industry professionals. 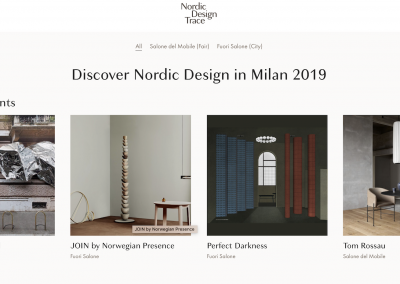 For Milan Design Week 2019, Nordic Design Trace presented a digital map with both well-known and emerging design brands from Denmark, Sweden, Norway and Finland – including Anour, Artek, Bang & Olufsen, Bolon, Fredericia Furniture, Fritz Hansen, Henzel Studio, House of Finn Juhl, Lammhults, Montana, Muuto, Nikari, Normann Copenhagen, Royal Copenhagen, Please Wait to be Seated, and Tom Rossau.